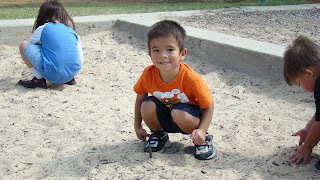 Samuel with his friends playing sand at the park. They got very messy after, but surely had fun. It was a fun day. We are one of the Leading Insurance Agency In San Diego and California ,Our insurance services are health insurance, Kaiser health insurance, family insurance, group insurance, blue cross insurance, blue shield insurance, affordable health insurance in San Diego.please add my website into your blogger,it is very useful for us.